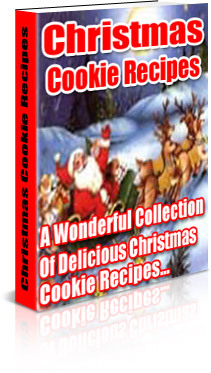 The Christmas activities, recipes, crafts, are all explained in this collection and are easy to do and most take only a little bit of time. It’s that time of the year again! Time to get out the tree, stockings and mistletoe! … but you don’t know where to begin? Christmas is a time of joyous celebration, when families come together to celebrate their faith, their love, and their happiness with one another. But for many, Christmas just means S-T-R-E-S-S! There is so much to accomplish and it feels like each year Christmas comes faster and faster. And if you're on a budget, the Christmas holiday stress becomes even more pronounced. In order to make your Christmas holiday less stressful on your wallet and your time, I have developed a handy Holidays Goodies bag OVERFLOWING with an amazing collection of Holiday guides to assist you in completing all those major holiday chores – and to still HAVE FUN doing it, with all the family joining in! This hamper of over 100 Tools, Tips and Christmas goodies focuses on using every day items that you probably already have in your home to decorate, cook, make crafts, make and give beautiful thoughtful hand made gifts, keep the kids busy and happy, become the ‘hostess with the most-est’ - - - and all while saving you time and money! •	Activities for Keeping Little Fingers Busy! •	How to make hand made Soaps. •	Dickens What Christmas is. •	How to Make Greeting Cards for all Occasions – all year round! •	“Letter from Santa” template to personalize & print for your loved ones to receive! to use in your Holiday cards and Gift Certificates. •	The Christmas Dinner Play – HOLD YOUR OWN PLAY! •	And a How-to-Draw Christmas book! Hundreds of recipes for appetizers, candy, cakes, pies, cookies, main dishes, breakfast, desserts and more. Make the best holiday meals and treats for all your friends and family to enjoy. Checklist, planners, action guides tips to help ALL the family to have FUN, for every part of the Season. Gathered together to help you and your family ENJOY this Holidays without any Tears! •	Christmas Decorations Ideas & also to make yourself! You will have this hamper of helpful tools at your fingertips to use every Christmas for years and years to come! Imagine how relaxed and organized you will be next Christmas when you have had all these resources at your fingertips, to make full use of weeks in advance! You cant go wrong with this amazing offer – Guaranteed to delight you or your money back! Imagine how relaxed and organized you will be next Christmas when you have had all these pictures to make full use of weeks in advance! Go ahead and click the "Order Now!" LINK below! 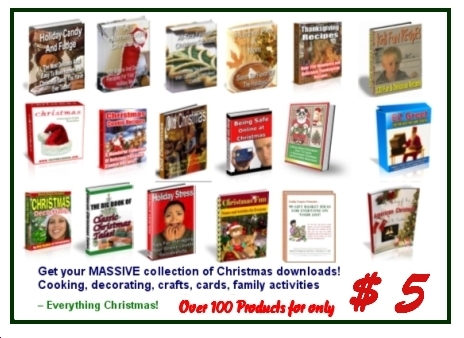 "The Christmas Fun Pack that I bought from Helene is a huge treasure trove of Christmas recipes, craft ideas and hundreds of holiday tips that I'll be able to use for my blogs and web sites for a long time to come. Then, there are so many wonderful Christmas story ebooks! And it still doesn't stop there! You'll love the Christmas coloring books and the games and activities. I liked this Christmas Fun Pack so much, there are tons of ideas I'll be using for my own Christmas planning! " You can get the pack here for immediate download to your computer 24/7 and start using these fun Christmas resources right away! Do not Waste Another Precious Minute! Get Your Hands on This Amazing Value Christmas FUN Package! You get forwarded by Paypal to our instant download access page at www.box.net as soon as you pay, so you can start having Christmas fun with these tools in less than 3 minutes! There's no absolutely NO risk, so grab it today. P.S. Remember, you have ZERO risk. I'm so convinced that you'll be amazed at all of the goodies I've squeezed into this pack that I'm giving you 3 months RISK FREE! Don't wait - Order today and save!